Absolutely hands down best stroller!!! I have uppababy vista and this double is so much more convenient and easy than that one! Easy one tug close n open!!!! I loved my single i had to get double!!! Just what I was looking for. Light but sturdy and small enough to fit through doors. So stylish! My kids love it as well!! I am extremely disappointed. I purchased this stroller bc I fell in love with the single city mini gt. Just found out there is no adapter for the Chico car seat for the double gt. I will be returning & purchasing a different double stroller. Purchased for my 5 and almost 3 year old for Disney World trip. Very easy to push. Kids said they were comfortable. Limited underseat storage but easy to attached other bags. Have used other double strollers in the past and this is my favorite by far. Things I love: Easy fold and small footprint for a double stroller, foam wheels, both seats recline individually and have a good range of upright to laying down, adjustable handle, height and depth of seat is great as children get older, large canopy, easy in and out for my almost 2 year old (can climb in himself easily and loves it), ability to attach car seat (although the graco car seat does sit rather upright for a newborn with the attachment, it's better than not having the attachment, but should sit at a better recline). Things I'm not loving: Small storage basket when room would allow for a much bigger one, no parent console, cup holder or pocket included, no pockets in the seats for toys or snacks, inability to add two snack trays, no rain cover for purchase, and stroller arrived with defective break so one side of back wheels never locks. Still waiting on a resolution so we can use our new stroller! 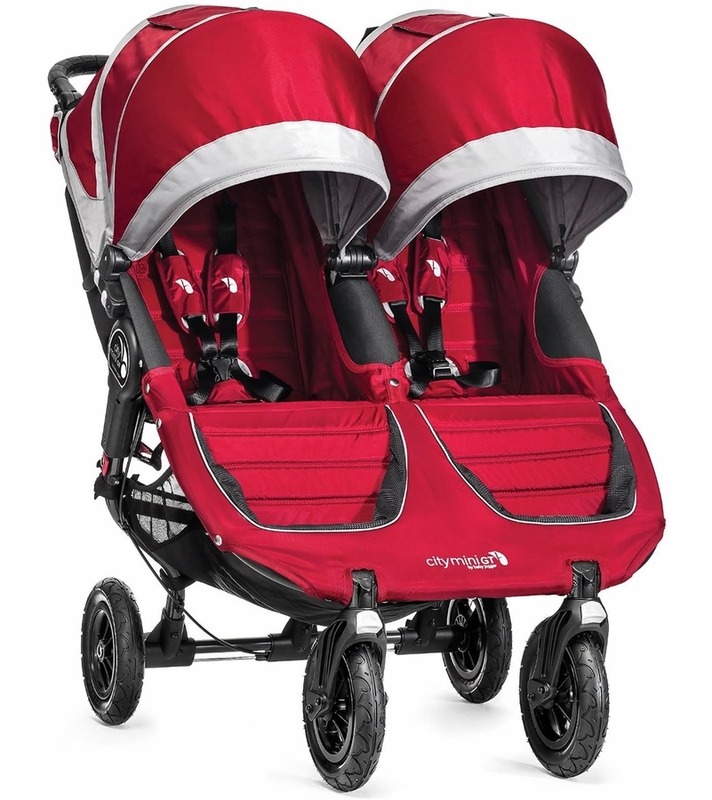 After doing a lot of research trying to decide on the best double stroller, I finally decided on this one. However, I started to look at accessories only to find out that there's not an adapter for my Britax B- Safe 35. I will NOT be switching car seat brands, so I guess my search continues. It should not be advertised as a travel system option when it's only compatible with two brands of infant seats. I'm SO disappointed! I was hesitant at first but after purchasing we love this stroller. It folds up nicely and doesn't take up much space in the trunk of my van. The basket is a great size and easier to access from the sides. We also love the large canopies for sunny and rainy days. ConsThe only con I can think of is no parent console with the stroller. Our stroller we bought from babies r us is unusable because there is no car seat adapter for Chico car seats. When are you going to make one. Great stroller. It pushes easy, isn't hard to steer. It even does well in the grass and on gravel. The only problem I have with it is it doesn't hold 2 car seats and the storage isn't easy to get to with the seats reclined. I am so disappointed! I've researched for months and asked other moms which double stroller they liked the best. I didn't think to read the reviews on here! I didn't know it wasn't compatible with the most popular/most recommended infant car seat. I would have never purchased if I'd known. I now have to return this product with a 1 month old in tow. My heart is absolutely broken. I have this stroller in a single and loved it and was so excited to get it in the double for my second child but it isn't compatible with the Chicco infant car seat. Sadly I will be returning and purchasing another brand. Why in the world would they make it so the single fits but the double doesn't??? 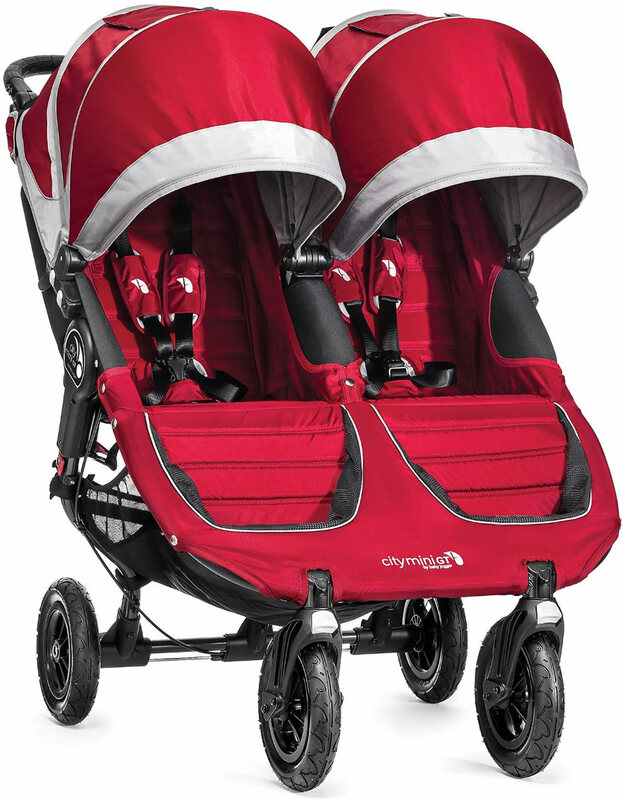 After having a double umbrella stroller that i was unhappy with it, I finally gave in and ordered this. So happy! Will be using this for park dates, play dates at the zoo and of course going to Disney. ProsLove that the handlebar adjusts so much. So it is great for a tall husband. Great basket underneath. Love how easily it reclines too. Great for a 1 year old and 3.5 year old. Really love the tires. And how easily it folds Also can't beat the price! Also good for oversized kids that weigh a lot. Strolls easy. Best UsesAnytime you need to go out in public alone with 2 kids. Great stroller and color!!! Black is hard to find. Red is the best! After renting one while on our Disney vacation I knew I had to have it. I stalked different sites for months and no one could beat the price, value and speedy shipping. 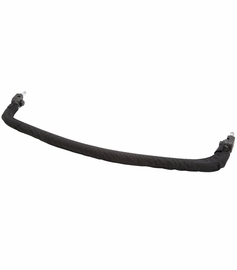 This strollers adjustable handlebar is great for both my husband who is 64 and myself at 53. Super smooth and my kids love it. Great stroller for my newborn and 2.5yr old. Pushes easily and its comfortable for both kids! GREAT ALL IN ONE STROLLER!! I was looking for a stroller that would work for walks & travel!! I wanted something with decent tires that didn't give my kids whiplash over sidewalk bumps, but i also wanted something compact & easy to fold for traveling! I felt like I was going to have to buy 2 different strollers, but this one went on sale & i decided to give it a try! It is great for EVERYTHING! Rides smooth for long walks, also folds so easy & compact! I can do it with one hand! It lays completely flat, so in crowded public places i can even use it for diaper changes!!! My 3 & 1 year old are both comfortable in the seats! Highly recommend this stroller!! We love this stroller! We have twins and a toddler and this stroller is amazing because I can put any combination in the stroller since a child can be up to 50 pounds. It's super easy to maneuver and it packs up very easily. After a lot of research, we are so happy we went with this. Amazing! Great maneuverability and no fuss! This is a great stroller. 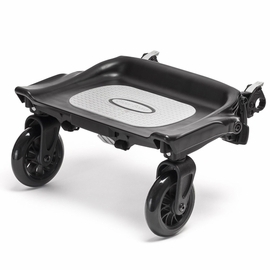 Folds up pretty easily and compactly, and I (105lbs) can throw it in the back of the SUV without problem. Get the Parent console that straps on, it's pretty helpful, too. We have had great experience with the single version of this stroller and purchased the double with the arrival of our 2nd child.This thing is pretty sturdy, it maneuvers smoothly and easily using just one hand/arm, and it fits into 36" doorways, which is rare for side by side strollers. Love the large sun shade/coverage and that one seat can recline all the way back while the other stays upright. I highly recommend this. I had a hand me down joovy double stroller it was fine but almost impossible to turn! So it was time to get a new one for the next 4-5 years. I havent taken it out since it is winter but the little I have seen it do its a breeze to turn easy to open easy to close and I like that the middle barrier goes up far so the kids can bug each other as easy. The under compartment is small which I had read before but I still think I could squeeze my diaper bag under it but it wouldn't be very easy. I bought one of these and cant figure out how to get the front wheels to quit locking up. I bought one of these and can't figure out how to get the front wheels to quit locking up. We bought the double City Mini GT just after having our 2nd child. We had the single gt and were so happy with it that we knew no other stroller would compare. It maneuvers like a dream and is such a smooth ride for my kids. I would buy this stroller 10 times over. The disappointment in the double came with the fact that there aren't accessories that fit the double. When we travel to Disney in a few months I won't have a rain shield or a tray for both seats because neither are made for the double gt. Also, no parent console is big enough for the double long handle. 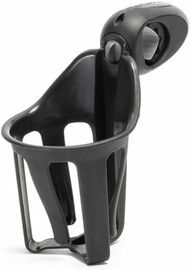 There's no car seat adaptor for our peg perego infant carrier like we had with the single. - While the seats are able to recline very well, they do not sit up well at all. Even my 1 year old has to struggle and pull herself up by the snack tray in order to sit up comfortably. Not compatible with Chicco Keyfit Carseat!!! 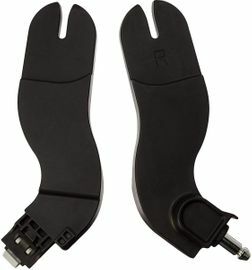 I'm not sure how it's possible that they haven't made an adapter for the Chicco Keyfit carseat! They have one for the single stroller because it's the most popular carseat ever!! Without it, it's basically useless! We upgraded from the City Mini GT when our second child was born. We were super excited for the Double but ran into some immediate frustrations. 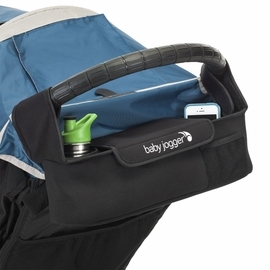 The stroller handles beautifully and is easy to grab and go. The disappointing part is the lack of accessories to customize this stroller for your kids. 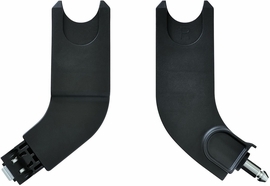 There is no carseat adaptor for the KeyFit 30, there is no child tray for this stroller (my son loves using the tray on his regular stroller) and there is no weather shield available for purchase. I wish had know about all of this before we picked this product as our double stroller. For the price you would think the quality would be a bit better. 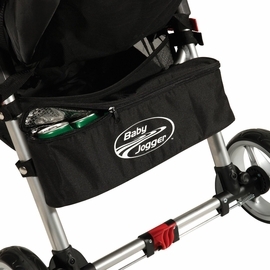 And why can is this stroller not suitable for jogging if this is a baby jogger product? That does not make sense to me. I'm a mom to newborn twins and was very excited about this stroller only to find out it can only fit one car seat adapter. Very upsetting. Not to mention the fact that for all this money that it costs, you have to pay extra just for a car seat to fit in as opposed to just clicking in. I expect a full refund and will be taking my business elsewhere. I was sooooo excited to get it. I got the city hand grips, belly bar, and snack tray! I was so excited to get the stroller with all the hype. I was most disappointed with the fact that both my kids (both in the higher percentile for height) had to pull themselves up to sit up even with the seat full up. I looked up other accessories to see if they sold anything to help. Nothing. I got this stroller as a Mother's Day gift, as I was having my second child the next day. When we set it up, we learned that this stroller is not compatible with my britax car seat. I got this stroller because I loved the single one for my 20 month old. So disappointing to know that for this expensive of a stroller, you all didn't think to make it practical for all people. My single and my city select both for my brutal perfectly... what gives? We have had the stroller a few weeks. We have 2 month old twins. I will say it does not lay completely flat, although very close to it. And the shade extends out very far for sun protection. Fits through any door! Folds easily and compact vs competition. Bought the parent accessory console that we love as well. Storage underneath is sufficient. Easy to maneuver. Great purchase! I bought the city mini single and it was compatible with my Peg Perego car seat. So I bought the Double assuming it would be compatible as well. That is not the case. I am super frustrated I can't use my new double stroller until my baby can hold his head up now. Not cool. 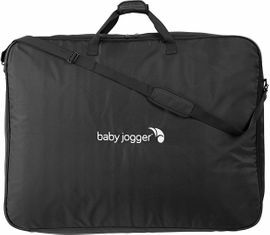 How does a brand contain the name 'jogger' and yet not recommend you actually jog with the strollers? I have the City Select with a second seat and LOVE it, as a daily stroller. My family knows I run a lot, and they also know I love our current stroller, so they bought me the City Mini Double and I am so disappointed to read I can't run/jog with it. Are there replacement wheels I can purchase in order to be able to run with it? I first want to say we absolutely love our City Mini (single). It ideally met all our needs for city living. When #2 arrived, we didn't have second thoughts (in hindsight we should have) getting any other stroller than the City Mini Double. To our dismay when the stroller arrived, the Britax car seat we used without a hitch on the City Mini is not compatible with the Double. There are no adapters to make it work. This makes zero since. I guess if you're having twins the first time around this will not be an issue because you'll buy the car seats that are compatible. If you're like us and didn't have the foresight for baby #2, you're not going to buy a new car seat when the Britax you already have works just fine just to buy this stroller. I first want to say we absolutely love our City Mini (single). It ideally met all our needs for city living. When #2 arrived, we didn't have second thoughts (in hindsight we should have) getting any other stroller than the City Mini Double. To our dismay when the stroller arrived, the Britax car seat we used without a hitch on the City Mini is not compatible with the Double. There are no adapters to make it work. This makes zero since. I guess if you're having twins the first time around this will not be an issue because you'll buy the car seats that are compatible. If you're like us and didn't have the foresight for baby #2, you're not going to buy a new car seat when the Britax you already have works just fine just to buy this stroller. I have owned this stroller for a little over a year. I searched for months for a stroller for my twins, who at the time of purchase were five months old. I really wanted the to be able to see each other and have the same view of the world (sitting side by side). I don't have a single regret! I look at it this way, if a wheel chair is meant to fit through a doorway, this stroller will too. I am glad I splurged for the extra things the gt offers, like adjustable handle bar and better tires. We were just an outdoor event and travelled in all terrain without an issue. I often push this stroller with ONE hand and pull a shopping cart at the grocery store. I added the belly bar amd my kids love leaning forward and holding it. So nice that it still fits through all door ways even as a side by side double. We have had this stroller for about two years now. It is great!!! The ride is smooth, the fold is great! The handle bar adjustment is a nice feature! Just love it all around. And not only do I love the stroller but I love their customer service! So helpful! I bought this stroller when I was pregnant with my second child. I love that they sit side by side and the stroller fits through standard doors. I am able to use this when out on my own without any trouble. It rides so smoothly and is great for tall kids, like mine. The sun shades are large and provide a lot of protection. There are a lot of attachments for the stroller, but they must be purchased separately. 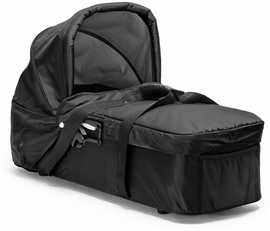 The only things I disliked about the stroller is the difficulty I have getting a diaper bag in and it of the bottom basket and the fact that there does not seem to be a good parent console for this specific stroller. Overall, I love this stroller, just wish a few changes would be made. we rented this stroller During our last Disney vacation. It was so easy to maneuver in the crowds at the park. I loved the over sized sun shade! I bought this about a month ago and I am really impressed with the features. I especially love the braking system one handed break is awesome. I don't have to hurt my foot trying to release the break like I do with some other strollers. I'm a little disappointed that it doesn't fit though my front door. However my last double stroller didn't fit through my front door either, this one is slightly narrower so I thought it might but it doesn't. I haven't had any trouble with any doors outside of my house though. I did a ton of research on double strollers when we were expecting our second (our kids are 4 months apart- one bio and one adopted), and decided to go with the City Mini GT double stroller because of how flat it lays when folded. This was the only double stroller that fit in the trunk of our 2005 Honda Civic. The ride is smooth, it is easy to clean, easy to fold, easy to push. I also love the adjustable handle because I am 5'11" and usually have to bend over to push a stroller. Not with this one! The only downside is the limited storage space, but we find we don't need all that much anyway. We're not the type of people who usually spend lots of money on things like this, but my husband agrees this is well worth the price! Now that we have 3 kids, we are even thinking of getting a single City Mini GT for walks downtown. Highly recommend! This is one of the best child-related purchases I have ever made! The push is amazing, the quality is awesome, and it's super comfortable! Definitely buy this!!! Amazing stroller and amazing customer service. Under promised and over delivered. Thank you! We purchased out City Mini Double new and have loved every single minute of it. It has hands down been the best stroller we have ever owned. Being somewhat of a 'try to get the best fit' for my kids to make mine and my wife's lives much easier when on the move, we have owned a lot of different strollers. Joovy's, Phil & Teds, BOB, Baby Trend... Jogging strollers, umbrella strollers, sit and stand... you name it, we have probably had it at one point. We purchased our City Mini to help maneuver around town while also being able to carry all the gear we need for a family of 5 (2 girls and 1 boy). It has massive sun shade canopies that are a must in hot places, we utilized these to the max when taking our kids to DisneyLand and DisneyWorld as well as countless trips to California etc.. The fact they are independent from one another means that you can have one fully extended while another open or partially closed. This is great when loading up the stroller with bags and there is one child in there! Its extremely maneuverable and effortless to push even when fully laden. It's best feature for us (as a family that fly's a lot) is the folding mechanism. It is a synch! 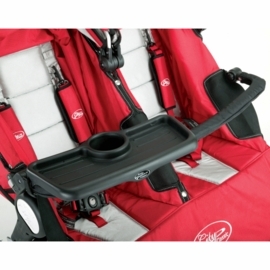 Simply pull up on the locking tabs on the seats and the stroller folds extremely flat. In addition, its light weight means it is easy for my wife to handle and lift into the back of our truck etc... Unlike some of the heavier strollers. Our's has been to DisneyWorld 3 times and DisneyLand Once. It's been loved by our kids but also been treated to typical kids abuse! We have simply taken the stroller to pieces and machine washed the fabric and then rebuilt it. After nearly 5 years it is still going strong. While some may baulk at the price of new strollers (I know i did when i first became a father!) I'm of the opinion to 'buy once, cry once'. You really do get what you pay for and for the longevity and use of this stroller it is absolutely worth it. I would like to point out that in my experience, any time we have had to speak with customer service, lost or damaged part, the purchase of new rain cover's etc... They have been outstanding. Having a company that stands behind its products and be willing to go the extra mile speaks volumes and is most definitely worth the price. We have recently swapped out of our City Mini Double as our children have got a little bigger, and we have moved over to the City Mini GT. Can't see us purchasing anything else given our experiences. Why do the peak a boo windows have velcro instead of magnets? It's the only downside. Not Compatible with Chico car seats! Bought the 2016 model only to find out that there is no adapter available to make it compatible with a Chicco KeyFit car seat. According to the representative, they do not plan to make that adapter available. I find that very frustrating since my car seat is a common model and older models of this stroller were compatible.